Tile is one of the oldest floor coverings that still exists on the market today and you’re likely to find that some of the benefits it offers will be right at home in your own home. With some of these floors dating back as far as 4,000 BC, you might think it an archaic material, but nothing could be further from the truth. In fact, it’s probably better suited for homes and businesses now than it ever has been. But you’ll soon see for yourself. We invite you to visit us at our Harrisburg, PA showroom when you have the chance. From there, we’ve been serving the areas of Harrisburg, Carlisle, Camp Hill, Mechanicsburg, Hershey and Hummelstown since 1946. We’re still the same family-owned business that customers have always turned to when they need quality products and dependable service, and we intend to keep it that way. We’ll take the next step in learning exactly what you need for the floors in your home and then direct you to it. Furthermore, we can install it and continue our amazing customer service by offering on-going services any time you need them. 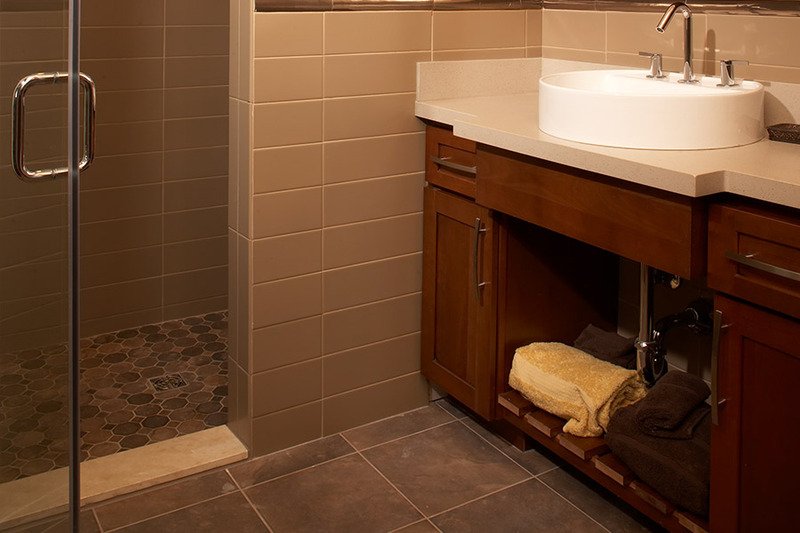 When tile is suggested as a floor covering, people usually think about bathrooms. This room is a great one to install these floors in, but it certainly isn’t the only one that can benefit. 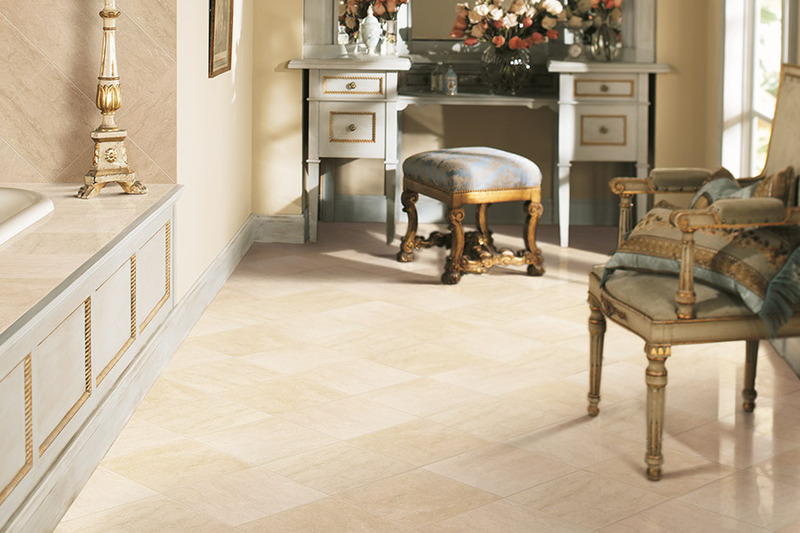 For instance, your laundry room, foyer, hallways and more are also great places to install either ceramic or porcelain. In living areas, you can use differently colored and shaped tiles to create mosaics that will be pleasing to the eye and can even be utilized as a conversation starter in social situations. 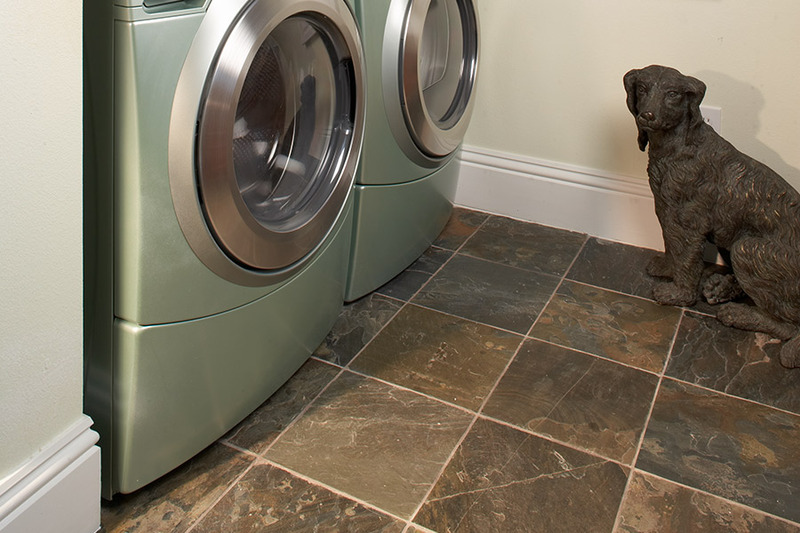 Water resistance is one of the greatest benefits of this floor covering, but durability and life span certainly can’t be left out when we talk about tile. Since these pieces are fired in very hot kilns, they are very dense and very hard and can stand up to some of the heaviest traffic that most homes have to offer. Better still, it can handle it without a lot of the scuffs and scratches you might be use to seeing with older flooring. The biggest thing to keep in mind with this floor covering is that is should be installed by professional installers. Not only are specialized tools necessary to get the job done right, but if you break a few tiles, your budget will suffer greatly for it. We are famous in the Central Pennsylvania area from Hershey to Carlisle, Port Royal to York for our enormous ceramic tile showroom selection. Both imported and domestic tile are available from Daltile, Mohawk Ceramics, Mannington, Crossville, Florida Tile, Stone and Pewter, Jeffery Court, Granite and Marble, Garden State Tile, and Conestoga Tile. 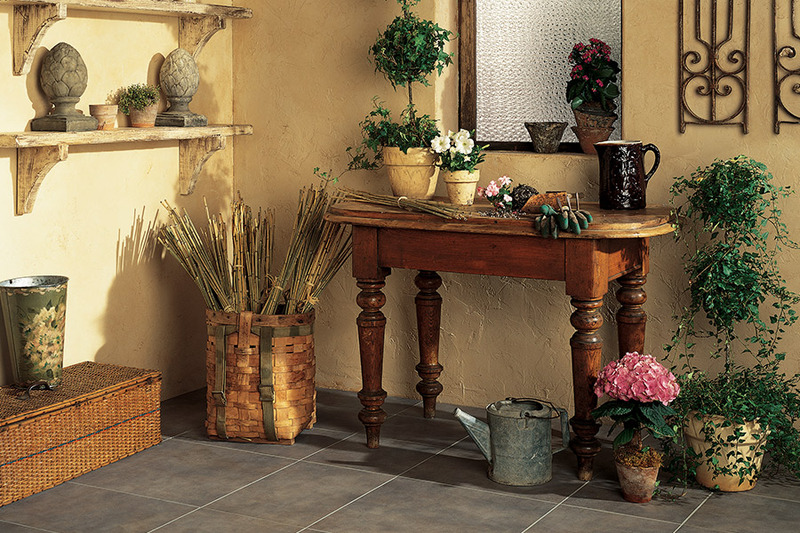 Ceramic is the perfect touch to add an elegant look to any rooms floors, countertops, or walls. Porcelain and Ceramic Wall and Floor Tiles – Unlimited sizes and shapes in textured tiles, smooth tiles, and designer tiles. 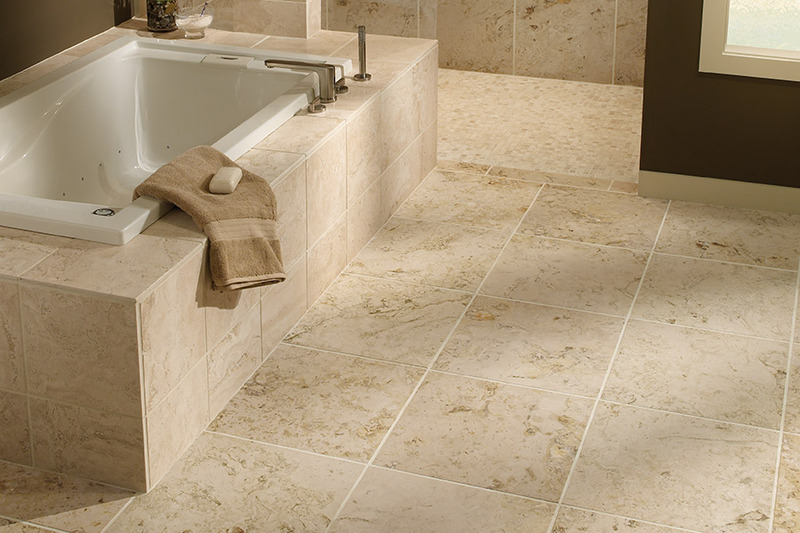 Natural Stone Tiles – Limestone, Travertine, Marble, Granite, and Slate. Polished and unpolished for walls, floors, and counter tops. Each natural stone tile is uniquely different and beautified by God. Glass Tiles – Bring a bold and exciting look to walls and back splashes. Available in many sizes and beautiful hues. Metal Tiles – Old world look of copper or iron or the more contemporary look of stainless, pewter, and bronze. Installation is never a problem with our certified and trained installation crews. We would also love to help you with your do it yourself project. Bring in a picture of your area and we can help design your project with all the proper trim, adhesives, and grouts. We carry a full line of accessories, including underlayments, Schulter Products, Kerdi Waterproofing, and ceramic outlet covers. 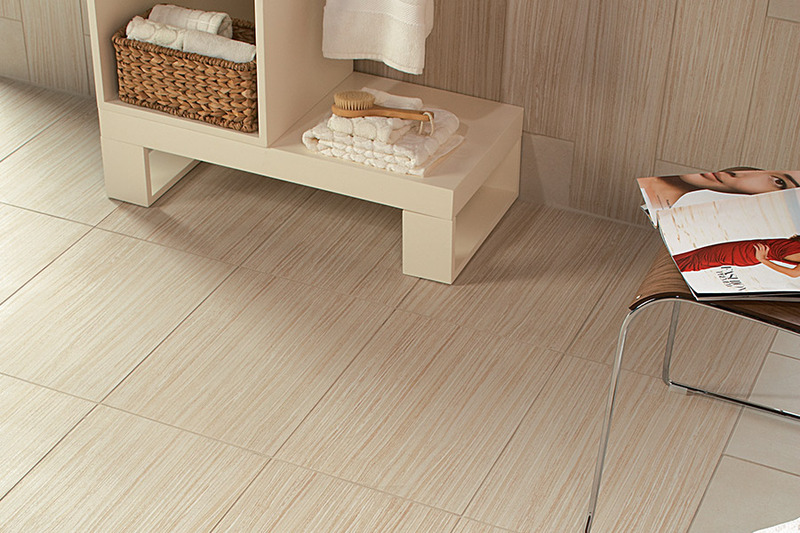 With ceramic tile, choices are limited only by your imagination. Need to make your kitchen back splash a work of art? We can help design a personal pattern that exists only in your home.